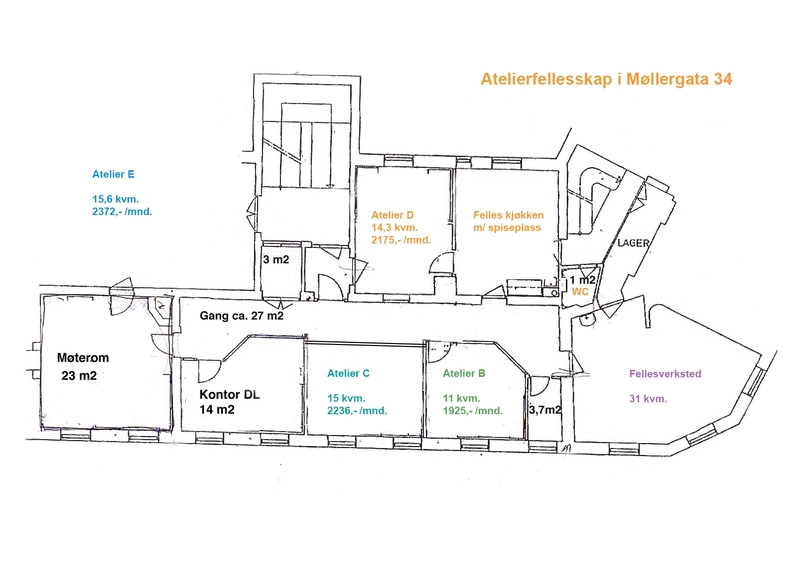 The studio is part of our office spaces in Møllergata 34 (2nd floor) in central Oslo. This is also where you find our workshop, guest apartment and other artists studios. Below is Fotogalleriet and their library. The studio is being rented out for a period of approxiomately 2.5 years. The studios are offered to FFF members and therefore alternate every few years. Senior members are prioritised, and if two applicants are equally qualified, the studio will be awarded by drawing lots. Prices are index-linked yearly - have a look at the studios and projected prices for 2019 here. Are you interested? Drop us an email where you tell us about your requirements, what you work with and how long you’ve been a member for (1 A4 page) + CV to [email protected]. The subject line should read “atelier”.